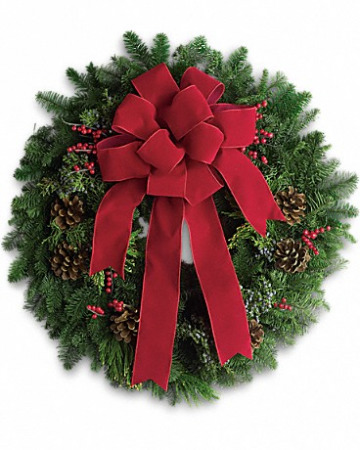 This fresh Christmas greens wreath can be custom dressed up for you with more ribbon, Pune cones, and flowers. 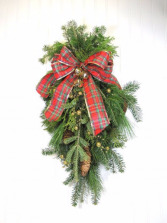 Add your price point to what you want to spend and we'll decorate beautifully for you before we deliver it! We can add beautiful flowers to this centerpiece for a more delightful gift! Just add your price for extra flowers and we'll do it up lovely for you!